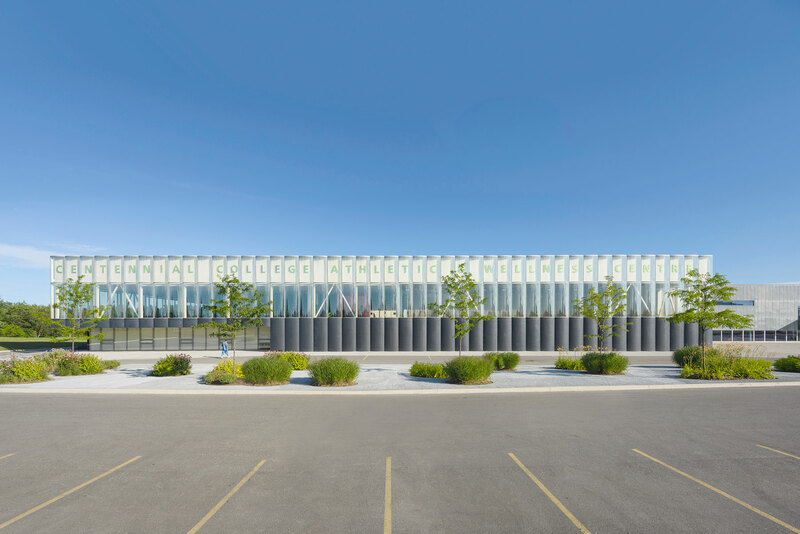 The Centennial College Athletic and Wellness Centre redevelops an existing gymnasium facility to create a central athletic centre for Centennial College. The new centre accommodates multiple programs – both athletic and academic. It also provides a venue for the college’s annual convocation ceremonies and student association concerts and events. 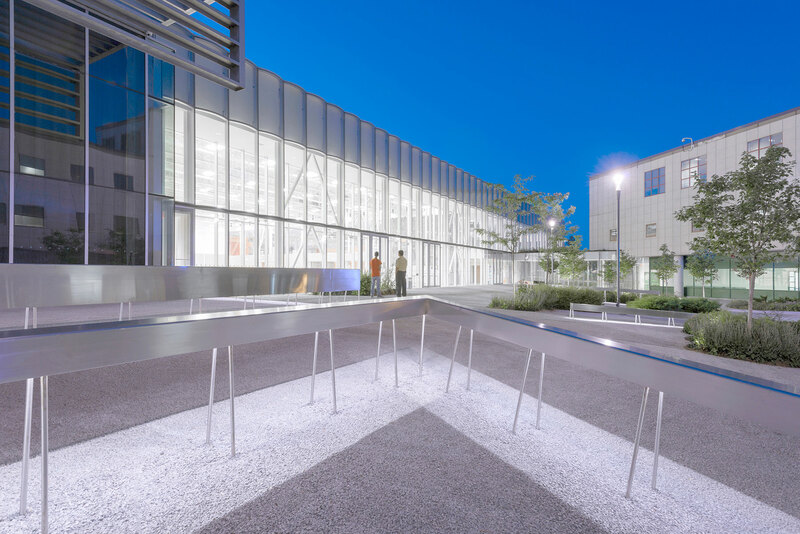 Added to the project scope was the re-design of the interstitial campus grounds to create the Centennial College Alumni Courtyard. The courtyard provides the college community with durable and accessible connections between the campus buildings and useful places for gathering and reflection. 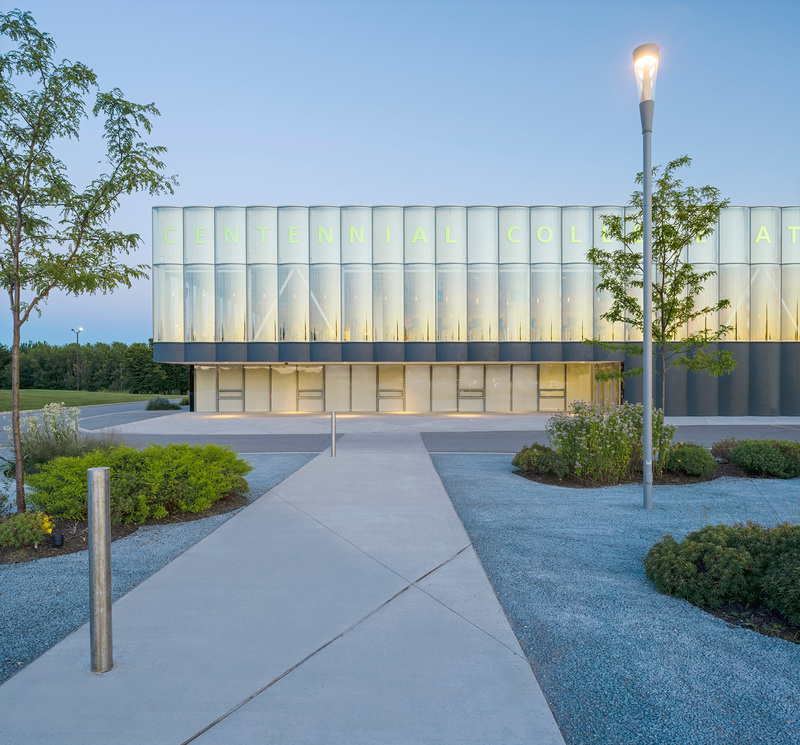 "Of the award winners, this project is singular in developing an architecture of enclosure, by way of an innovative glass and concrete envelope. 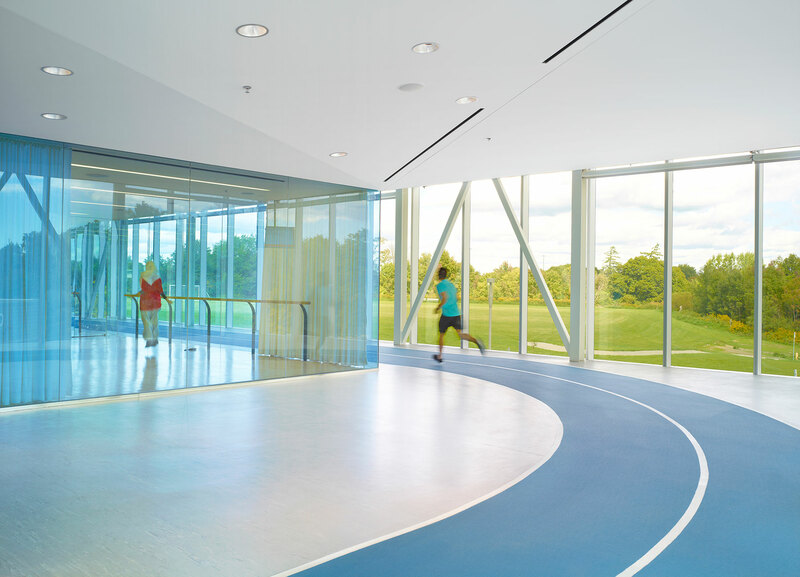 It brings a minimal, and elegant resolution to both the fitness facility inside and the grounds outside. 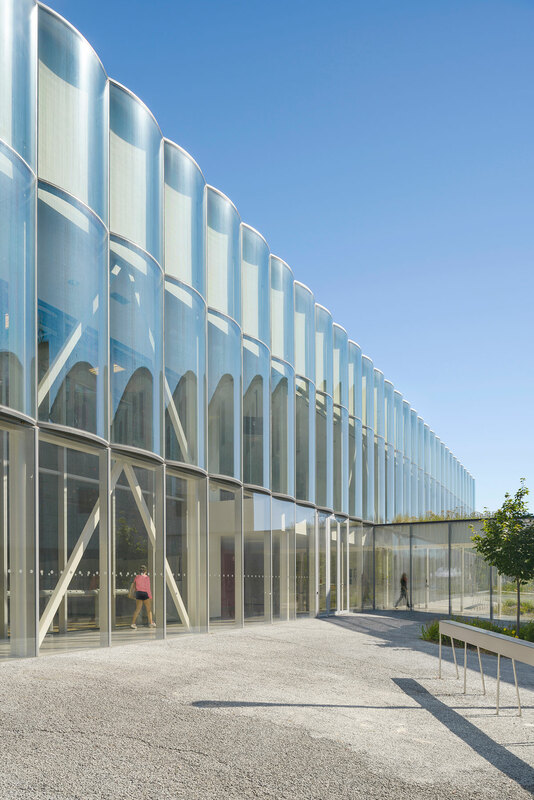 The façade’s curved glass surface generates unique perceptual effects and magnifies the transformations in ambient light and atmosphere. Its articulation replays classical principles of a heavy base, column-like elements, and crown."